Gold oval pendant necklace, delicate gold filigree pendant necklace with a dangling Swarovski pearl drop. 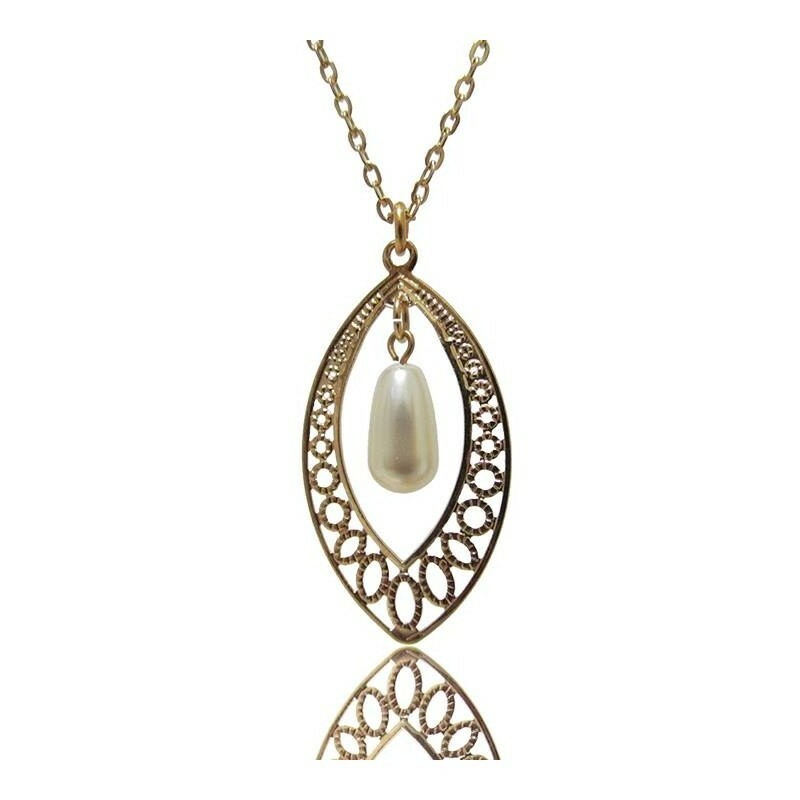 The necklace is made of gold plated. 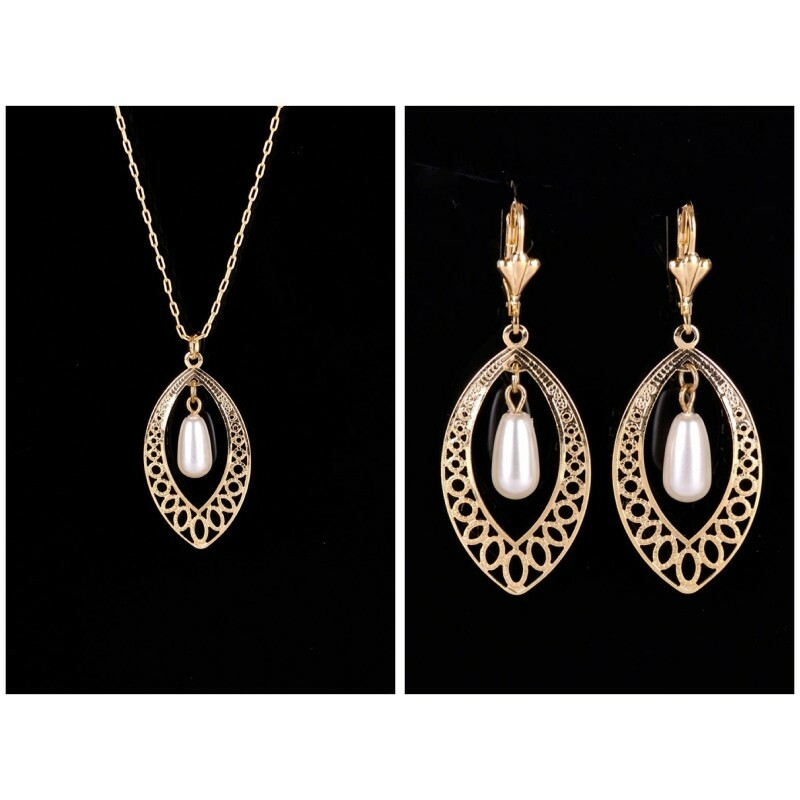 Oval pendant necklace gold length: 18"/45 cm approx. 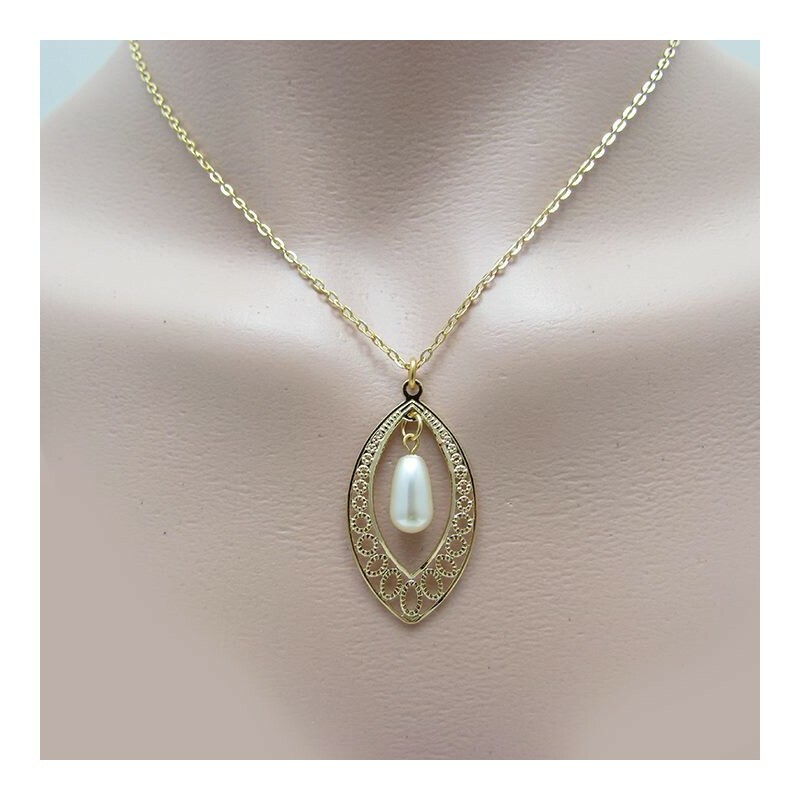 Gold oval pendant necklace suitable for brides, bridesmaid or everyday wear.